Remember a loved one in your own way, perhaps by donating instead of flowers, lighting a candle, fundraising or simply remembering. An online Pansy Tribute offers a place for all of this and much more. Simple to set up and easy to use, your Pansy Tribute Fund can hold your photographs, thoughts, sounds and memories all in one place. 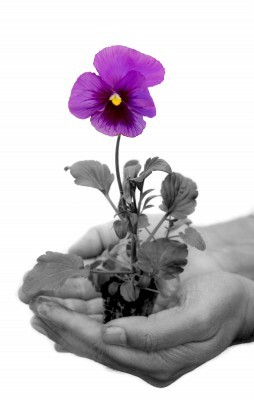 Donate online easily and securely, send cheques or donate regularly by Direct Debit and watch your Pansy Fund grow. You can even collect sponsorship on-line with an ‘events’ page. Every penny donated to your Pansy Tribute Fund will help Pancreatic Cancer Action fund the essential projects to enable earlier diagnosis of pancreatic cancer. Visit the Pansy Tribute Garden. There is no cost to set up your tribute. By keeping your loved one’s memory alive, you will also be helping future patients survive pancreatic cancer. Although pansy’s come in many other colours, the pansy fits the symbolic purple theme which represents pancreatic cancer. Even more special is that the winter variety flowers in November, which is Pancreatic Cancer Awareness Month. The name “pansy” is derived from the French word pensée, “thought” and was imported into Late Middle English as a name of Viola in the mid-15th century, as the flower was regarded as a symbol of remembrance. 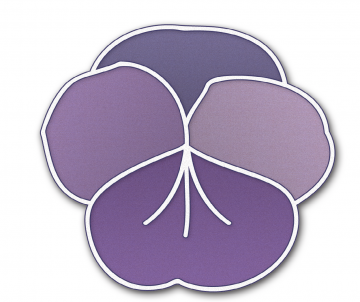 While our logo may have now changed, the pansy is still very much part of our organisation and we continue to stock our popular pansy badges, and t-shirts which can be worn in memory and for awareness, as well as our online Pansy Fund, which provides the opportunity for people to remember loved ones online.